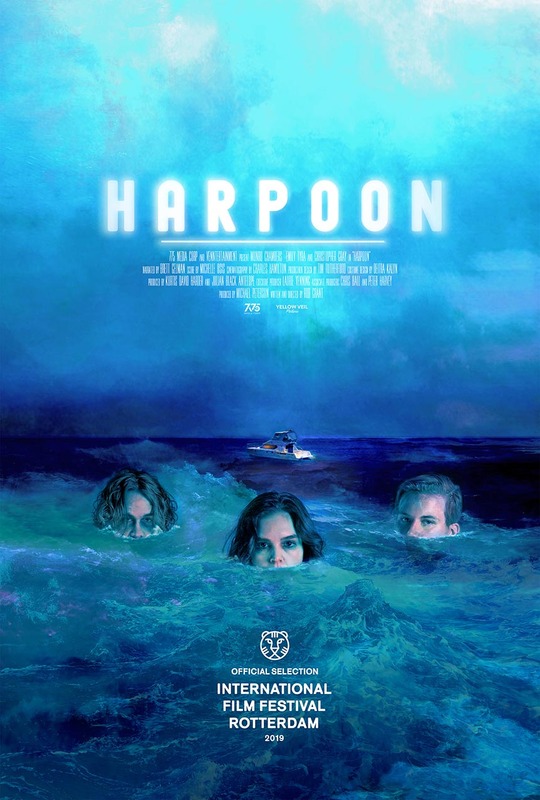 With the world premiere of Rob Grant's new film Harpoon coming soon to International Film Festival Rotterdram it is time to add to the promotional push for it. The teaser debuted the other week with the news that our friends at Yellow Veil Pictures are handling worldwide sales for the flick and now the poster has arrived. The poster was created by artist Christopher Shy, sometimes credited under the pen name Ronin. Shy's has been on everything from video games, graphic novels, ad campaigns and more. Most recently he created the poster for Panos Cosmatos' Mandy. We will post a link below to his site so you can check out his other work. Tension boils-over once out to sea, and, to make matters worse, the yacht’s engine fails. Stranded without food and supplies, the trio must set aside their differences in order to survive. One part post-modern Edgar Allan Poe adaptation, one part Knife in the Water with the cast of Seinfeld, Harpoon is a wickedly humorous and bloody deconstruction of friendship and love.